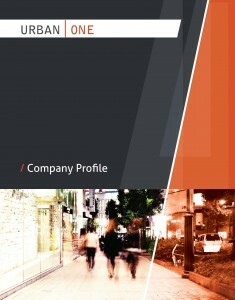 Urban One’s unique cache of experience and talent allows the firm to take full control of projects throughout all phases of development. In total, Urban One’s managing principals have overseen the development of over 76 multi-family and retail projects valued in excess of $2 billion. There are several firms out there that market themselves as Project Managers. However, most of them are only capable of offering the client one particular service, such as construction management or development consultancy. There are very few that offer “true” Project Management services – taking full control of every aspect of your project, from approvals to lease-up. Due to our depth of experience as property owners and developers, the differentiation lies in our ability to span the entire spectrum of urban development and genuinely act in the ownership capacity. Our expertise allows us to foresee critical paths in the design, entitlement, permitting, construction, and sale/lease period that individual contractors or consultants don’t have experience handling or predicting. The core Project Management services that Urban One makes available to its clients include, but are not limited to, Development Management, Construction Management, Investment Management, Financial Advisory/Feasibility Analysis and LEED Consulting. With the current economic climate, Project and Development Management isn’t just about managing the process. Many clients choose Urban One to broaden their own resources and expertise, manage risk and make sound decisions, leverage knowledge of specific markets, and ensure the success of their investment. At Urban One, we make it our business to understand a client’s vision and what success means to them. Our level of expertise handling urban development projects allows our clients to focus on other tasks, thus producing significant time and cost savings. Real Estate – revitalizing communities through residential, retail, and mixed-use developments that preserve historic structures, active streetfronts, and foster community engagement. Infrastructure – developing high-quality and long-lasting public infrastructure, as it plays a critical role in economic and community development. Transit – establishing alternative transportation opportunities that offer innovative, sustainable, and efficient transit solutions to urban congestion.